The theme of letting go has been popping up pretty regularly for me. I've never been good at it. I tend to hold on tightly to everything and everyone I love. I have always viewed holding on as a measure of strength. Running and my mom are teaching me that sometimes it takes just as much strength to let go. I just found our copy of the VHS movie, Finding Nemo. It is one of my all time favorite Disney movies. Ironically I found it while madly searching for the DVD of my mom's surprise birthday party. 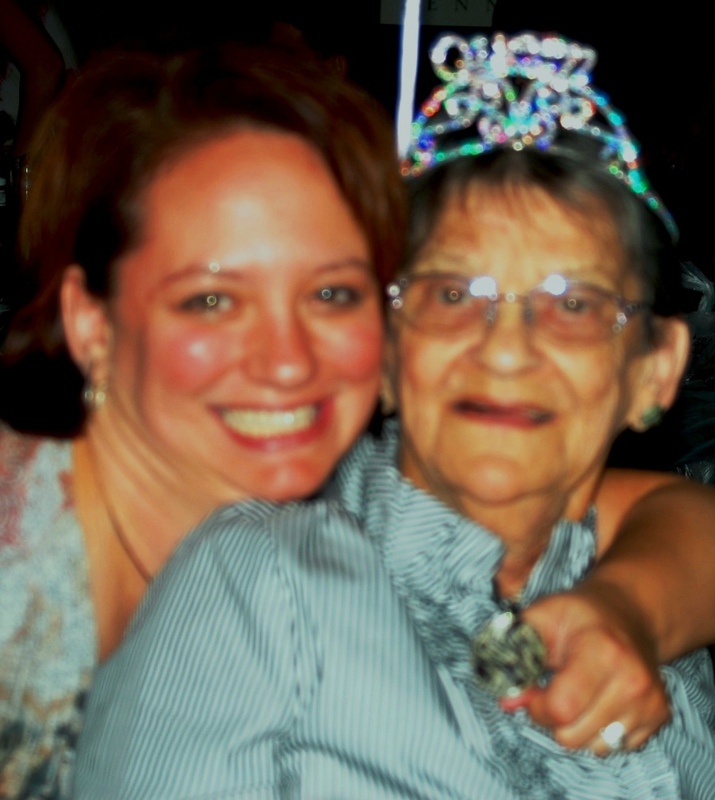 I miss her more than usual lately and I just wanted to see her face and hear her voice. I wanted some connection with her like I used to have in the face of a decision I have to make. Attempt the marathon with a broken rib? If she were alive, I would have asked her what to do. Like most mothers, she would tell me I absolutely should not run it with a fractured rib. This would make me angry and I would become more determined to prove her wrong and do it. And the whole process got me out of making an adult independent decision. And that was our dance. And she isn't here to prove wrong anymore. I have to decide whether to run the full marathon in 2 weeks or transfer my registration until next year or run the half. I broke my rib 3 weeks ago and it threw off my whole training schedule after 4 months and hundreds of miles of religiously following it. Just in the effort to catch up with training and retrain with my fractured rib, I've managed to injure my right leg overcompensating for the broken rib on my left. I've been asking everyone what they think I should do. I didn't realize until today that I already knew the answer. And just like moms have a way of doing in life, my mom helped me realize my answer. So as I picked up the movie, I paused for a moment and I remembered one of the many moments I had with my mom and one of the many things she said to me in the days before she died. "It's time to die now, Darcey"
At the time I cried and I cried and I held on to her tighter, literally putting my arms around her now 90 something pound frail body. I couldn't let go. I felt completely powerless to help her, something I had spent my whole life trying to do. I just couldn't let go. She and I had been afraid my whole life of her dying. She had me at 43 years old and I had always noticed how much older she was than my friend's parents. I was quite a surprise, the last of her 8 children with 9 years between myself and my next youngest sibling. Suddenly sitting on the couch with my arms wrapped around her I felt alone in our life long fear of her dying. I was left alone, hanging on. She was letting go and I just couldn't. As I sat on the floor of my living room thinking about this memory, a scene from the Finding Nemo movie now in my hand popped in my head. It is the scene where Dory and Marlin are inside the mouth of this huge whale. They are terrified and hanging on in the back of his throat. 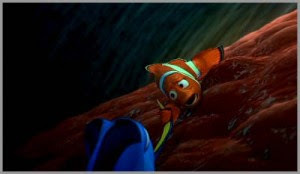 Dory can speak "whale" and she is telling Marlin that the whale said it was time to let go. She is preparing to listen to the whale and let go. I'm sad but today it's time for me to let go of completing the full marathon this season. I have to listen to my body and trust my gut. I know in my heart of hearts my body just isn't ready to run 26.2 miles with a fractured rib. I've run 18 miles. And I'm back up to 10 miles with the fractured rib. The race registrar has given me more time to see if I will be able to make the half. I could probably finish the full, but at what cost? I would hate it and I would risk more serious injury. I would risk always remembering my first full marathon as being torture. That's not the feeling I want after I cross the finish line for the first time. I'm so grateful I have gained the confidence to put my dream out there into the world. It has taken a new courage I have found in myself through running to set a goal as big as completing a marathon. And I was over half way there! It also takes courage to know when to hold on and when to let go and heal and try again. Injury happens. And to tie in my unexplainable running inspiration that just never goes away.